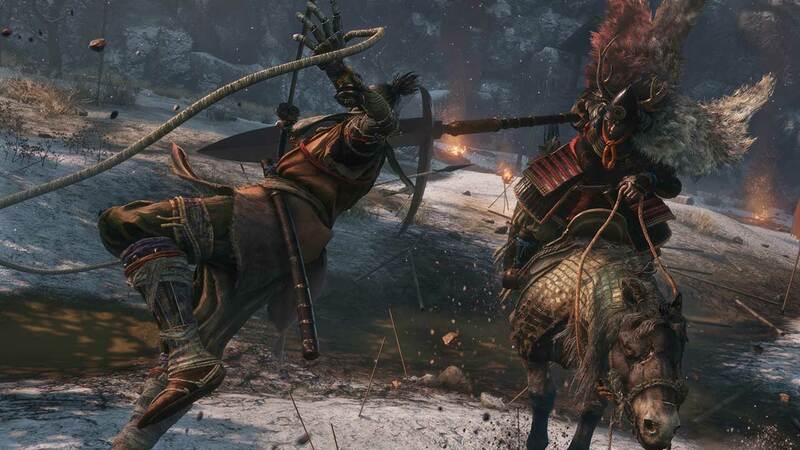 When you first boot up Sekiro: Shadows Die Twice, if you didn’t change any of the settings, you’re probably playing with the default Japanese voice over. Sekiro is a game from FromSoftware, a Japanese developer, and is set in a fictional version of the Sengoku era in Japan, so even for the Western release of the game, the Japanese audio with English subtitles is the default setting. It sets the right tone and mood, really driving up the authenticity of an already amazing game. But when I started it up, I did something blasphemous. I tried out the Sekiro English voice options, and I don’t regret it at all. It wouldn’t have been too crazy for From to not even offer English voice over work in the game. Plenty of Japanese developed games don’t bother with the localization expense and efforts required, and even when they do, it’s often phoned in for the sake of appeasing those who want English VO. The Sekiro English VO is not phoned in or just there to appease a Western audience though. While Japanese voices may be the default, the English audio is an excellent and quality addition to the game that should at least be tried out, even if you’re a traditionalist. Sekiro’s English voices are quality and drive home the emotion and depth of the world and story just as well as the Japanese VO with English subtitles. As the One-Armed Wolf converses with the Sculptor, there’s a deep sense of mystery and dread. When characters get sick with the Dragonrot, their VO isn’t just some simple coughing. They each sound like they are literally on their deathbeds. Boss characters are also impressively displayed with Gyoubu’s “My NAAAAMMMEEE… is GYOUBU MASATAKA ONIWA!” being a stunning opening to his particular fight. I would know. I only heard it a hundred times, and it never got old. PSA to fellow Sekiro players to try the English voice option. I really respect/appreciate the game defaulting to Japanese, but From has had such excellent English VO for years now that I def. wanted to try it here, and really glad I did. Some really standout performances. Now this isn’t to say that you should listen exclusively to the English audio, but at least give it a try. You may find that you’re a bit more impressed with it than you thought you’d be. I’m going to be switching back over to Japanese audio fully for new game+. One of the reasons I choose English VO is so I don’t have to pay attention to the subtitles while I am in combat. Makes it easier to catch the story. But now that I’ve got that down, I want to listen to the full game with the Japanese voice audio to see exactly how the tone and atmosphere compares. Sekiro is worth playing through a few times anyway, so now that you know the option is there, you can get the best of both worlds.